Make couscous as directed on package. Meanwhile, heat oil in 10-inch nonstick skillet over medium-high heat. 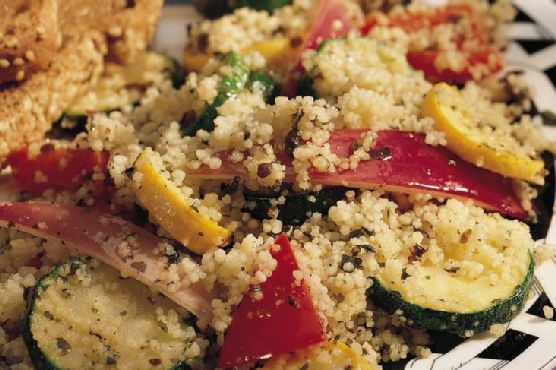 Cook zucchini, yellow squash, bell pepper and onion in oil about 5 minutes, stirring frequently, until crisp-tender. Toss couscous, vegetable mixture, pesto and vinegar in large bowl.